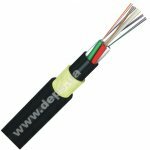 These anchoring clamps allow an easy and quick cable installation by gripping directly onto cable outer sheath without need to use additional protector. 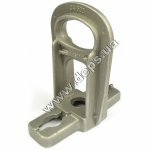 Anchoring clamp type PA 1500 consists of plastic body with elongated captive clamping wedges and flexible stainless steel bail. High-strength UV-stabilized plastic provides reliable fit in any environments. 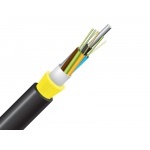 Elongated wedges are designed for better contact area of cable sheath and there are multiple fixing ledges on them. Bail can be pulled out from the clamp body for easy attachment to the mounting rings. To protect the bail from tear and wear as well as for mechanical loading uniformity an anchor point is equipped with a plastic loop thimble.